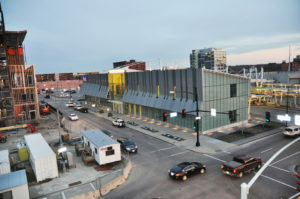 DART Central Station is located in downtown Des Moines. The bus service tallies nearly 5 million rides per year. Photo by Jeff Pitts. “Is DART fiscally unstable?” I ask. I’m on the phone with Elizabeth Presutti, the CEO of the Des Moines Area Regional Transit Authority (DART). If you are like I used to be, then you don’t give much thought to public transportation. This is Iowa, and statistically speaking, Iowans don’t have much use for buses. We drive to work. Alone. In our own cars. And the commute is usually less than 20 minutes. Right or wrong, most people I know like it that way. DART is primarily funded by area taxpayers. For every dollar paid in fares by riders, DART has expenses totaling three to five times that number, so it loses $26 million a year. 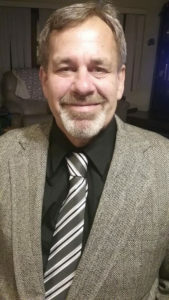 DART was formed in 2006 to facilitate travel throughout Polk County and a host of central Iowa cities, but seven of its 19 current members (37 percent) are working to exit the organization. It seems most of these cities are leaving due to ever-increasing property tax rates for barely used DART services. Most — if not all — cities affiliated with DART do not know the average per ride cost to its taxpayers. Ditto for DART. Depending on which DART official you ask, and depending on when you ask them, DART either doesn’t have the data, isn’t capable of compiling it, or maybe it does accumulate the data, but it can’t afford to pay anyone to tally it up. Officials from several of the DART cities I talked to suggested this was a source of frustration for them. Furthermore, an array of sources say DART will soon face an upcoming cash crunch. I decided central Iowa’s transit is more interesting than I thought. 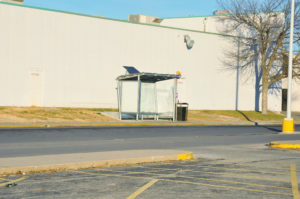 These and other DARTing questions need answering, and I decided it was time to take a look at the busing business in central Iowa. Central Iowa’s busing service utilizes a fleet of 150 buses. Photo courtesy of DART. As a person who had little knowledge of DART, it surprised me to see the organization reported $33 million of operating expenses on its 2016 financial statements against only $7 million of operating income. DART’s $26 million operating loss doesn’t mean it can’t pay its bills. Instead, the gap is bridged by various sources of tax dollars. For each dollar paid by a DART rider, someone else — mostly taxpayers — kicks in an additional $3 to $4 or maybe as much as $5, depending on subtleties in accounting methods. It should also be pointed out that DART was never intended to be a profit center. That’s the whole reason it has tax levying authority. DART can’t make it on its own, and people in the know find no issue with that. Just as public roads, parks or schools are expected to spend more than they generate, the same goes for DART. Furthermore, DART benefits the community in many ways. It transported residents roughly 6 million miles last year. It manages 1,780 bus stops,a fleet of more than 100 vans and about 150 buses. When a bus is on duty, it averages 20 riders an hour. DART tallies nearly 5 million rides a year, and most fares are $2 or less, which makes it the most affordable means of transportation for people in need. In fact, in 2014 DART reported that 76 percent of its fixed-route riders came from households with pre-tax income of less than $35,000. 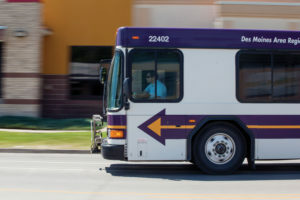 When the city of Carlisle learned the average cost to its citizens for a single bus ride equated to more than $160, its city council — led by Drew Merrifeld — voted to exit DART. Photo submitted. So why are so many cities DARTing for the exits? While serving on Carlisle’s city council, Drew Merrifield — he is now the mayor — attempted to garner DART’s per-stop onboarding data. DART asserts that it doesn’t have this information in regards to its system as a whole. However, since Carlisle receives only on-call services, its specific usage statistics are easier to count and were eventually turned over. When the Carlisle council discovered that the average cost to its taxpayers equated to more than $160 for each DART ride to Southridge Mall, it voted to end the relationship. That was two years ago, and after deferring its departure by a year, the city is set to exit by July. After Carlisle made this move, six other cities did the same. Currently, seven of DART’s 19 members are planning to withdraw. Carlisle, Elkhart, Mitchellville, Polk City and Runnells are all set to exit this year; Alleman and Granger are set to leave a year later. DART representatives say these municipalities contribute only about $250,000 annually to its budget, which is less than 1 percent of yearly expenses. In November of 2017, the Greater Des Moines Transit Funding Study was released. Until sales tax revenue could be approved by the legislature, the study went on to recommend additional short-term funding from increasing tax levies. 4,000 area DART riders depend on mass transit to get to work in Polk County, according to US Census data. Photo by Jeff Pitts. And if DART doesn’t raise property taxes? Flawed as the transit system may or may not be — it helps get people in need to where they need to be, and it generally beats walking. Many riders depend on DART to get to work, school, AA meetings, church, and just about anywhere else. The study predicts cash shortfalls for DART by 2025 — assuming DART maintains its current service levels and raises property tax levies to its limit. But I did some basic math and raising the levies to the maximum allowable limit on DART’s eventual remaining 12 members would result in a $5 million spike in annual revenue, roughly equating to 15 percent more dollars in DART’s operating budget. My basic math was confirmed by DART CEO Presutti. If the levies are spiked to the maximum, it would mean an extra $5 million or so for DART, an influx of 30 percent to its property tax revenue. But Presutti argued that the increase in funds would be implemented gradually, thus blunting its impact. “Is DART fiscally unstable?” I asked. Presutti’s answer would seem to be that, currently, it is. However, at DART’s January commissioners meeting, I learned that DART’s staff is not recommending property tax increases for FY 2019. Nor is DART’s staff recommending service cuts for FY 2019.
service cut in FY 2019? Do DART officials know something the rest of us don’t or is the high-priced study flawed? This is the WORST article i have read in my LIFE! Just because you have been feed with a silver spoon your entire, incognizant life! The last paragraph implies that corporate interests are somehow gaming the funding for DART. In fact, the political support for spending tax dollars for mass transit must come from employers who need DART to transport their employees to work. Sales tax support is the long germ solution along with driverless vans. Buddy, public transit isn’t a private enterprise. It’s not SUPPOSED to turn a profit.